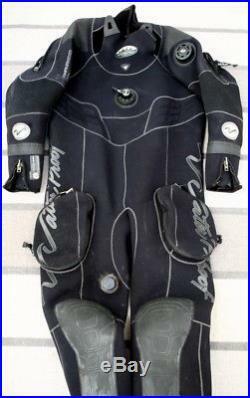 Waterproof Draco Dry Suit with Hood & Bag for Scuba Diving. 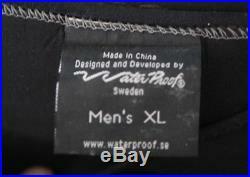 For sale is an excellent conditon one owner men's Waterproof (Sweden) Draco Rear Entry Drysuit. 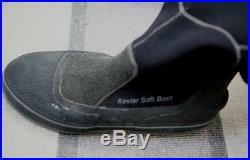 This is a 3.5mm Toughtex hi-density CR neoprene APP (advanced performance programme) suit with Kevlar reinforced boots, padded knees, shoulders, and elbows. 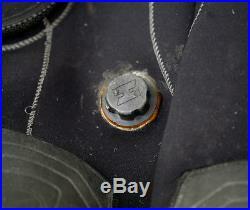 The chest swivel inflator valve and shoulder exhaust valve are in new condition with no leaks. 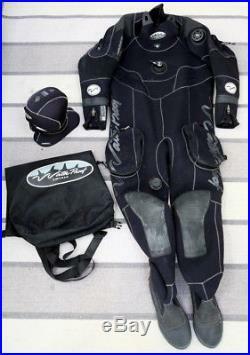 This warm suit was only used a few times for deep water winter diving. The Draco is an excellent Tech/Wreck/Deep heavy duty warm suit. 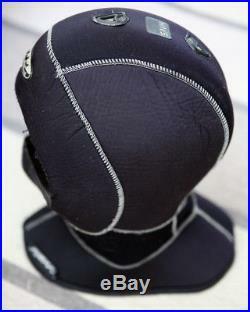 The wrist and neck seals need replacing (which would normally be done by a new user). 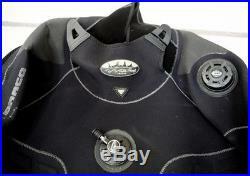 The only defect in this suit is one broken hook and loop tab on the neck protector which needs repair. 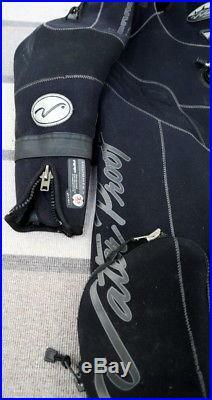 The suit fit size: 42"-44" chest; 39"-41" waist; 11-12 boots; 5'10-6' tall; 210-240lbs. Purchasing: Items come from a pet and smoke free home. If an item arrives damaged, I will require proof (photos) of the damage. 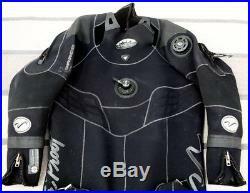 The item "Waterproof Draco 3.5mm Neoprene Scuba Diving Dry Suit XL with Hood & Bag" is in sale since Sunday, April 15, 2018. 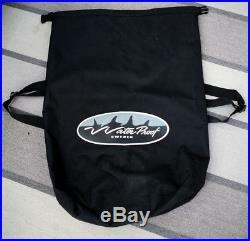 This item is in the category "Sporting Goods\Water Sports\SCUBA & Snorkeling\Other SCUBA & Snorkeling". 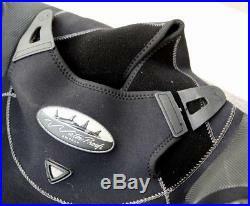 The seller is "lobsta_diver" and is located in Cambridge, Massachusetts. This item can be shipped to United States, Canada, United Kingdom, Denmark, Romania, Slovakia, Bulgaria, Czech republic, Finland, Hungary, Latvia, Lithuania, Malta, Estonia, Australia, Greece, Portugal, Cyprus, Slovenia, Japan, China, Sweden, South Korea, Indonesia, Taiwan, Thailand, Belgium, France, Hong Kong, Ireland, Netherlands, Poland, Spain, Italy, Germany, Austria, Israel, Mexico, New Zealand, Singapore, Switzerland, Norway, Saudi arabia, Ukraine, United arab emirates, Qatar, Kuwait, Bahrain, Croatia, Malaysia, Chile, Colombia, Costa rica, Panama, Trinidad and tobago, Guatemala, Honduras, Jamaica.